Our membership brings together key decision makers from across the private and public sectors to promote genuine partnerships and good public policy. 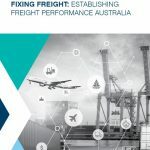 Formed in 2005 as a genuine and enduring policy partnership between Australia’s governments and industry, we exist to shape public debate and drive policy reform for the benefit of the national interest. Our public sector membership is drawn from Commonwealth and state and territory infrastructure, planning, finance and treasury departments, as well as government-owned corporations. Our private sector members include major financiers, law firms, contractors, consultants, equity and debt investors, and operators. We structure our membership as a single-tier offering to ensure equal attention is given to all of our members. 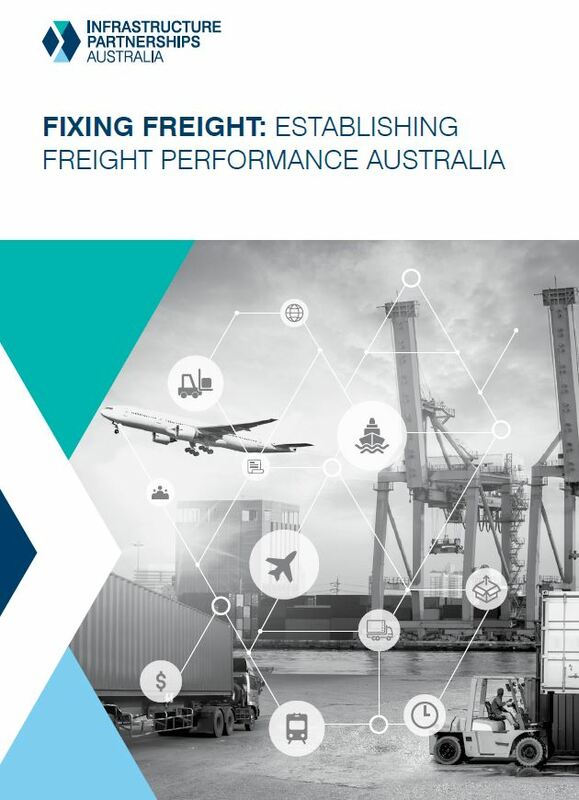 We deliver 80-90 events per year, ranging from our prestigious Oration and Awards dinner to boardroom lunches and topic specific policy taskforces. and provides unparalleled brand exposure through hosting and sponsorship opportunities. We are proud to present our new event series, Member eXperience. 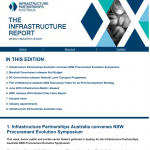 The series allows members to access the heart of infrastructure, offering site visits to some of Australia’s most exciting infrastructure assets. We are dedicated to in-depth research and policy analysis that benefits all Australians. 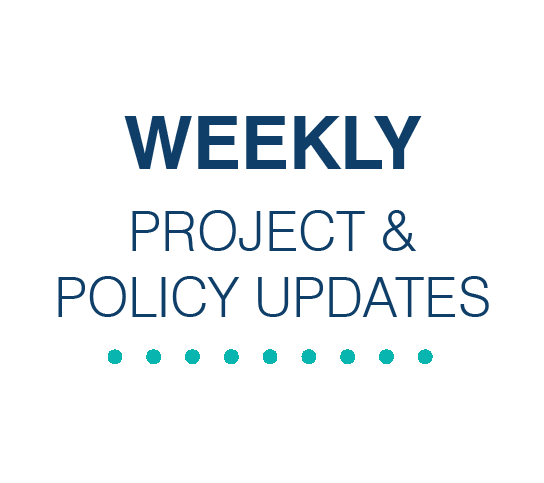 We harness the sector’s experience and our deep market understanding to provide our members with up-to-date analysis and reports, and meaningful solutions to policy challenges. 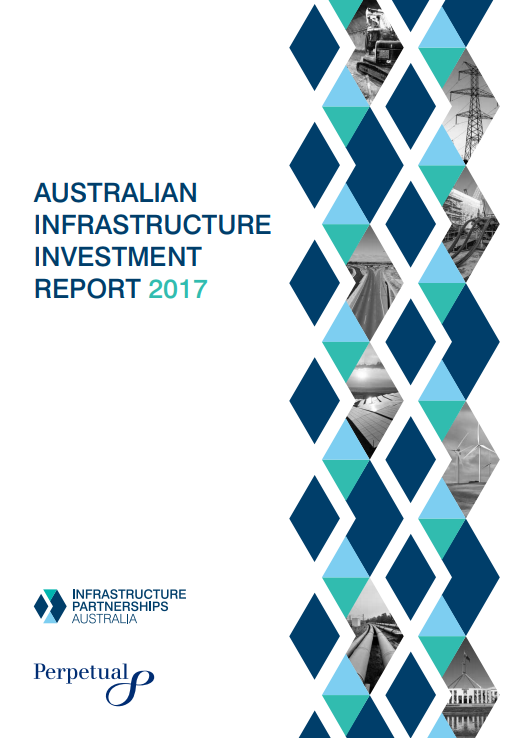 Infrastructure Partnerships Australia’s policy taskforces provide a unique opportunity for our members to contribute to our policy agenda and help move the dial on reform. 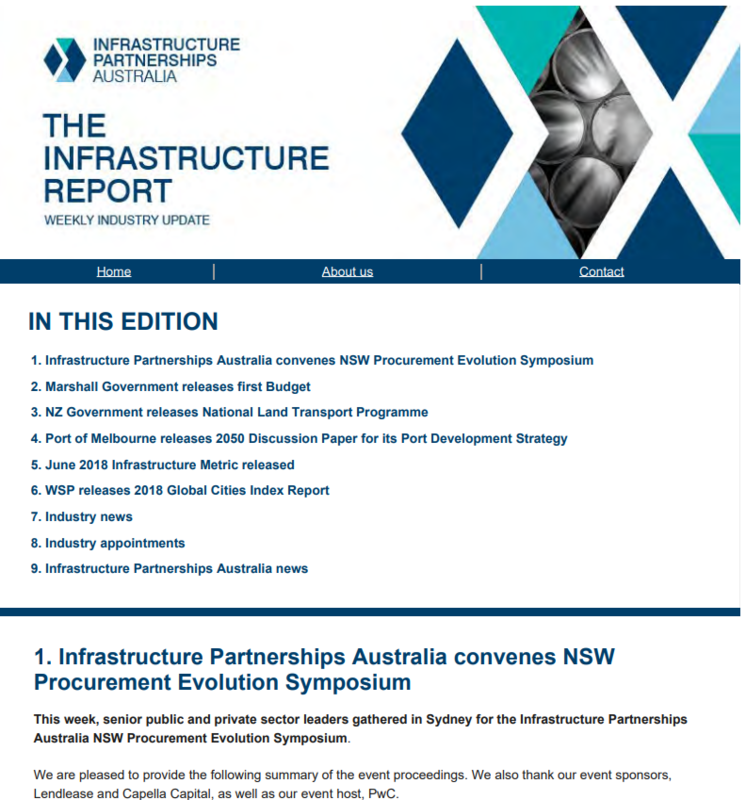 We send out a weekly Infrastructure Report, as well as special editions for the budget season ‘The Budget Report’. We have over 6,000 subscribers. If your organisation has recent news – this a great way to share it with the sector and profile your success. 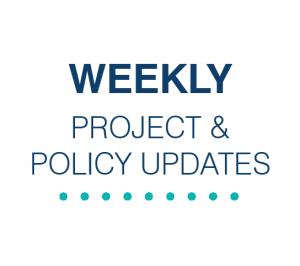 We encourage you to collaborate or seek advice from our policy experts on topics that matter to you. 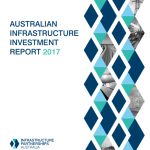 Our policy advocacy shapes public debate and strives to make Australia the world leader in infrastructure. Are your organisation interested in our membership? Fill out the form and a member from our team will be in contact you with further information and answer any questions you may have.